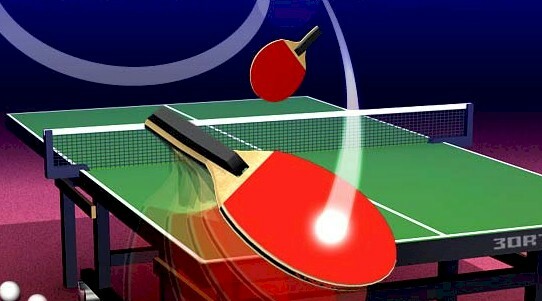 Dharmshala : The 77th Junior & Youth National and Inter State Table Tennis championship will begin today in Dharamshala. This is for the first time that Himachal Pradesh is organising an National Table Tennis event in this princely hill state. The six day tournament that begins today on 24th November will have its closing by 29th Novermber, 2015. The tournament is organised by Himachal Pradesh Table Tennis Association in joint venture with Table Tennis Federation of India. G.S. Bali, Hon'ble Transport & Civil Supplies Minister will be the chief Guest, who will be inaugurating the Tournament at 4.30 p.m. today at Indoor Stadium, Dharamashala. Ritesh Chauhan, Deputy Commissioner, Dharamshala, who is also The President of HPTT Association has revealed that the tournament will have representation of almost around 30 States. In addition to it reknowned institutions like Airport Authority of India, Petroleum sports Promotion Board Academy and Dena Bank will also be participating in this Tournament. There will be around 500 number of participants in this 77th Junior & Youth National and Inter State Table Tennis champoinship, said Yashpal Rana Secretary of HPTT Association. He said that the two main catagories which will be played during the tournament are under 18 Junior (boys & girls) and under 21 youth (boys & girls).